Modern gaming revolves around hardware most of the time – it is a question of life and death to have the fastest GPU and processor, tons of memory, a fast hard drive and even more. Yet you can’t game in the best way possible if you feel uncomfortable while sitting, right? This is what the people at OverclockersUK must have been thinking too so they have decided to change things. 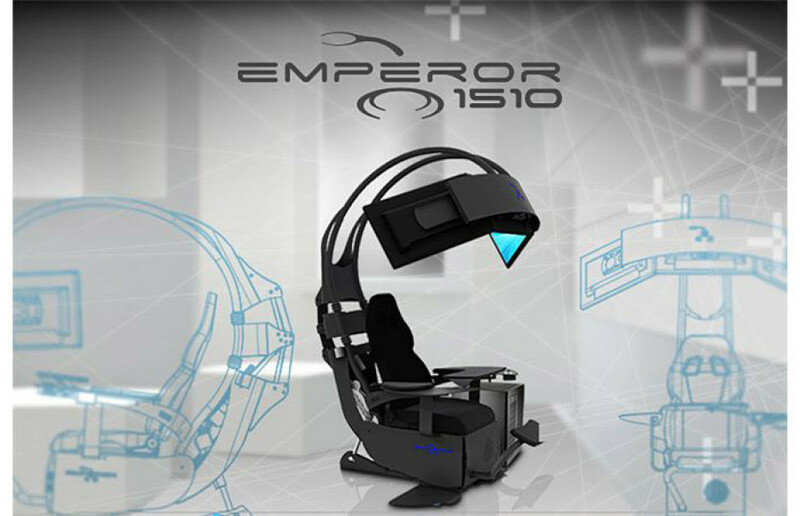 To do so they have released the Infinity Emperor – a super cool gaming chair that includes everything to make you think you are in the gaming paradise. The chair comes in two versions – with one or three displays – and includes the most powerful hardware possible – an Intel Core i7-4770K quad-core chip at 4.7 GHz, water cooling, an ASUS Maximus VI Formula, 16 GB of Geil Potenza DDR3-2133 memory in dual-channeled mode, two AMD Radeon R9 290X graphics cards in Crossfire mode and another water cooling solution for the graphics cards. The chair also comes with a 2 TB hard drive by Seagate, a 256 GB SSD by Samsung, 7.1-channeled audio, a Lian Li D600WB case and a powerful 1000W PSU by BeQuiet. The only requirement to use the chair is that you must weigh less than 113 kilograms. The Infinity Emperor runs Windows 8.1 64-bit and sells for GBP 9999.